A woman walks across the University of Southern Maine Portland campus. Maine’s second-largest public university is ready to unveil its new name. The University of Southern Maine is holding a news conference on Wednesday at 11 a.m. to draw back the curtain on its name change. The university says it also plans to use the event to discuss the rationale behind the change. USM has about 8,000 students, including undergraduates and graduate students. 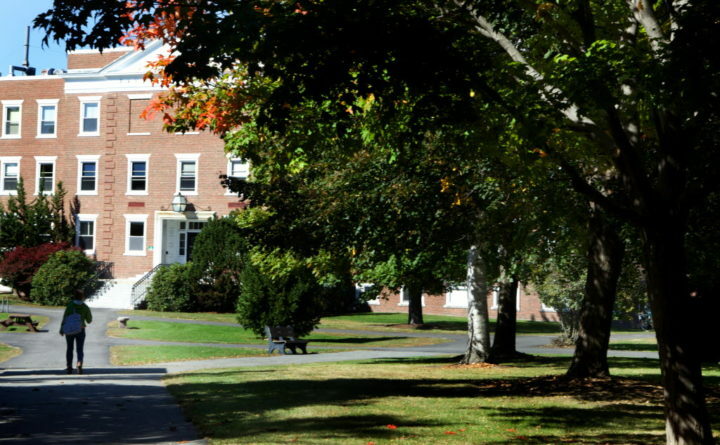 The university is a major piece of the economy and culture of the state’s largest metropolitan region, Greater Portland. The event is set to take place in the Glickman Library, which is located on USM’s Portland campus. The university also has a campus in Gorham. USM President Glenn Cummings is set to speak at the event.